SEOUL, March 15 (Yonhap) -- A pro-Pyongyang newspaper in Japan urged the United States on Friday to drop what it called "unilateral" demands in denuclearization talks with North Korea, warning that otherwise, the stalled negotiations will not move forward. 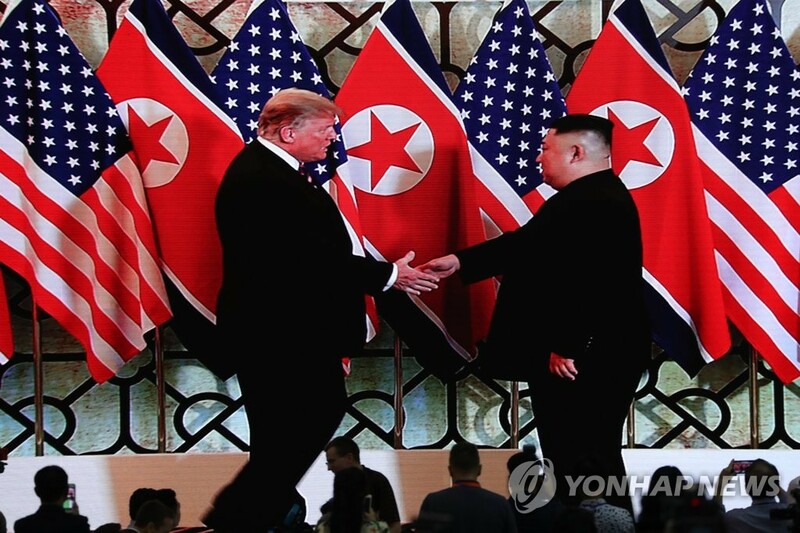 "No constructive dialogues can be held if (the U.S.) continues to call for a package deal and a one-shot resolution by making unilateral demands for (the dismantlement of) Yongbyon plus alpha and abandonment of nuclear and ballistic missiles," the Choson Sinbo said in an article. "For the North and the U.S. to have constructive dialogues, such a hegemonic way of thinking should be overcome first," it added. The paper said that North Korea remains ready to take denuclearization steps reciprocally in exchange for measures that Washington takes, but the North will not yield to "unfair" demands, nor will it tolerate its "arrogance" and "self-righteousness." In Pyongyang, North Korean Vice Foreign Minister Choe Son-hui also blasted the U.S. demands, warning that the communist nation could suspend the nuclear talks, as well as its moratorium on missile launches and nuclear tests. North Korean leader Kim Jong-un and U.S. President Donald Trump met in Hanoi last month but failed to reach a deal as they were miles apart on how to match Pyongyang's denuclearization steps with sanctions relief from Washington. Pyongyang says that it promised to dismantle the Yongbyon nuclear facility in the presence of American experts in exchange for partial sanctions relief. But the U.S. turned it down, saying Pyongyang demanded the lifting of all key sanctions while offering to denuclearize Yongbyon only. In a press conference in Pyongyang on Friday, Vice Foreign Minister Choe urged the U.S. to change its stance, saying her nation has no intention of budging. "We have no intention to yield to the U.S. demands (made at the Hanoi summit) in any form, nor are we willing to engage in negotiations of this kind," she was quoted as saying by Russia's TASS news agency.